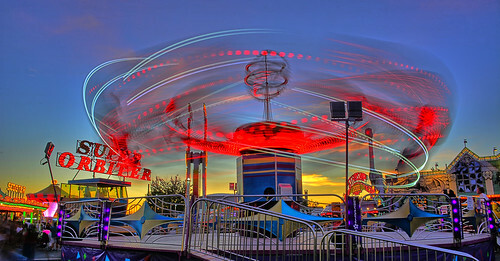 The Super Orbiter at the Oregon State Fair in Salem, Oregon. The sun was just starting to set when I snapped this one. About an hour later the background was just perfect and they turned out better....I think!